Editorial – 6 th June, 2018, and other reports concerning recent violence in Nicaragua. As a long term reader and subscriber to your newspaper I have read, with dismay, articles published in the Guardian on a number of occasions in the recent past accusing the Nicaraguan Government of unleashing unlawful activity and violence against people demonstrating against the Government. These accusations include shootings by the Police and wrongful imprisonment against dissenting groups. The accusations are being aired by those supporting the insurrection who claim all sorts of violations against the Nicaraguan people by the democratically elected Government of Daniel Ortega and who continue to seek his resignation. Government including the shooting of protesters and wrongful imprisonment, with little or no hard evidence. Neither do you appear to have sought any sort of explanation from the Government for the actions they stand accused of. In fact, it appears that you have taken at face value the allegations made by the protesters. Hardly investigative journalism! There is great suspicion about these events among those of us who are familiar with Nicaragua. There has been long term opposition to the Sandinista Governing party from elements of the right wing in Nicaragua and, particularly, from sectors of the United States. This is not difficult to understand bearing in mind the advances made by the Sandinistas since they retained power with 76% of the vote in the 2016 election, a fact not mentioned in your reports. 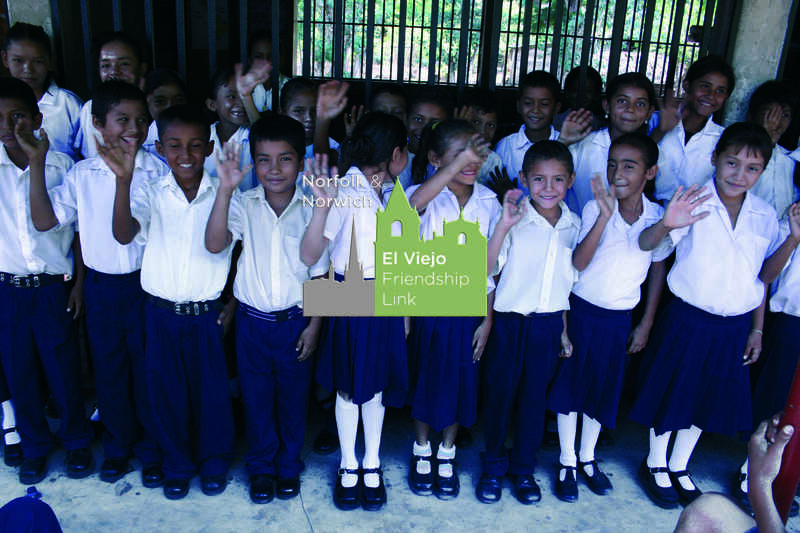 The Committee of the City of Norwich twinning with the city of El Viejo in Nicaragua feels compelled to try to put some balance into the situation. Under Daniel Ortega, Nicaragua has enjoyed a stable economy which has grown at double the Latin American average.  Free health and education.  The halving of female mortality.  Poverty and extreme poverty has also been halved.  Declaration by UNESCO that the country is now illiteracy free.  Robust economic growth among the highest in Latin America.  Enjoys peace and stability and is ranked in the top 3 in the whole Latin American region by the United Nations Development Programme UNDP.  Leads in gender equality ranking as top nation in the American continent and 6th in the world according to the WEC’s Global Gender Gap index 2016. Our Committee also noted that an election in neighbouring Honduras, held 2017, had been castigated by the OAS (Organisation of American States) observer team. They had refused to recognise the result because of a catalogue of irregularities, including violence and vote rigging. The US Government, however, had seen fit to congratulate Honduras on the election. ‘Nicaraguan elections since 2008 have been rife with irregularities’, it was pointed out that the Nicaraguan Presidential election held in 2016 had also been observed by the OAS. They noted the need for some improvements in the process but stressed they were insufficient to question the result. This was in direct contrast to the situation in Honduras but in the case of Nicaragua the US Government is pressing ahead with its criticisms and its attempt, through the ‘NICA Act’, to prevent Nicaraguan access to the international banking system for loans for development projects. If implemented, the Nica Act will put at risk all the of the advances and social programmes rolled out by the FSLN Government and it will be the poorest and most vulnerable who will suffer. It could be said that far from the picture of Nicaragua that you paint, in the context of Central America at least, Nicaragua suffers from ‘the problem of being a good example’! I will welcome your comments on the issues mentioned above and, hopefully, an appropriate accurate, and fair, report in your newspaper.